Hoping to alleviate player concerns regarding the possibility of collusion at its anonymous tables, Bodog Poker has instituted a new policy that allows players to request hand histories that will reveal the hole cards of all players dealt cards at the table, whether the hands went all the way to the showdown stage or not. The histories will remain anonymous and can be requested following a 24-hour waiting period up to 31 days after a playing session. Players making the hand history requests must have been seated at the table and have received hole cards for the requests to be honored. Bodog Poker received an overwhelming amount of criticism from the online poker community in late November upon instituting a new anonoymous poker policy in which players’ screen names were removed from the table, leaving players labelled by just their seat numbers. In multi-table tournament action, players were assigned random numbers. The controversial move was intended to put an end to more experienced players using heads-up displays (HUDs) and various tracking software programs to gain an edge over the more recreational and casual players. 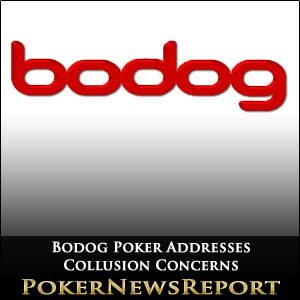 Many players were incensed, lighting up the online poker forums with harsh words aimed at Bodog’s new anonymous format being a possible haven for cheaters. Bodog’s UK CEO, Patrik Selin, answered the criticism by saying, There is only really one criticism that stands up to scrutiny and that is whether the lack of usernames can increase the opportunity for collusion. The new hand history data revealing hole cards can now hopefully catch any unscrupulous players who may attempt to collude. A player who feels something amiss during a particular session can simply request and analyze the sequence of events occurring at the table. 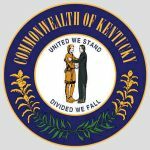 Cheating incidents during online poker games in the past have often been uncovered not by the poker rooms, but by the players themselves. The fact that we can now offer players this information is another advantage of our anonymous tables and something nobody else can offer, said Jonas Odman, vice president of the Bodog Poker Network. Collusion is a natural concern for any poker room but this new additional feature puts the player in full control. This makes the Bodog Poker Network the fairest place to play poker online in the world.